Cuban revolutionary Che Guevara has long been revered as a hero by countless teenagers with an ax to grind. You can see them wearing his t-shirts with the iconic image of Che, with long unkempt hair stylishly sticking out of a jauntily slanted beret on his head. For many, he is the standard bearer of a revolution that they know very little (if anything) about. Many who have pointed to the exploits of Che Guevara as a revolutionary ideal don’t have much of an idea of what his revolution was about. What did Che Guevara actually stand for? What was he trying to achieve? In this audiobook, we will explore the man behind the revolution, explore the good and the bad of the man who - despite his lionization - was still a man with all of the foibles and complexities that can plague us all. From his days as a carefree medical student roving the South American countryside to his tenure as the most preeminent revolutionary in the world, the true story of Che Guevara is finally uncovered. Beyond all of the hype and hyperbole, the real man behind the beret is revealed. 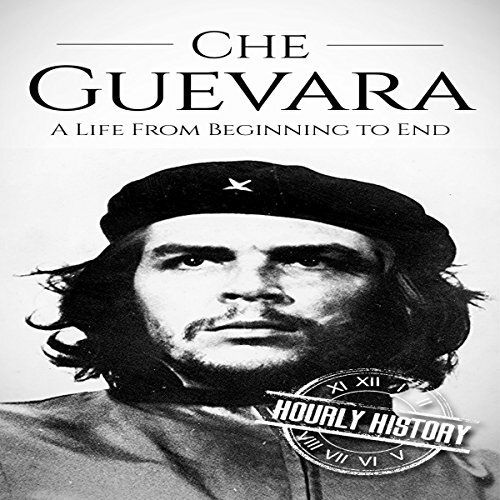 This audiobook takes a refreshing and unbiased approach in presenting the men who became the legend: Che Guevara.